Ytterbium forms a protective oxide layer in air, which makes it quite resistant. It is not particularly rare for a lanthanoid, but difficult to separate from the others, so it is not used much. 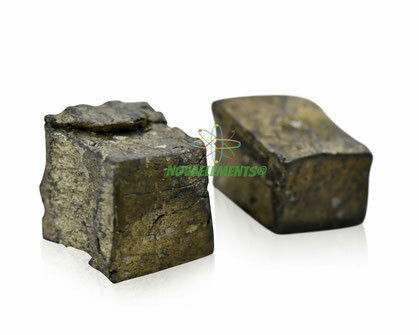 Its main application is as additive in special steels and for special permanent magnets. 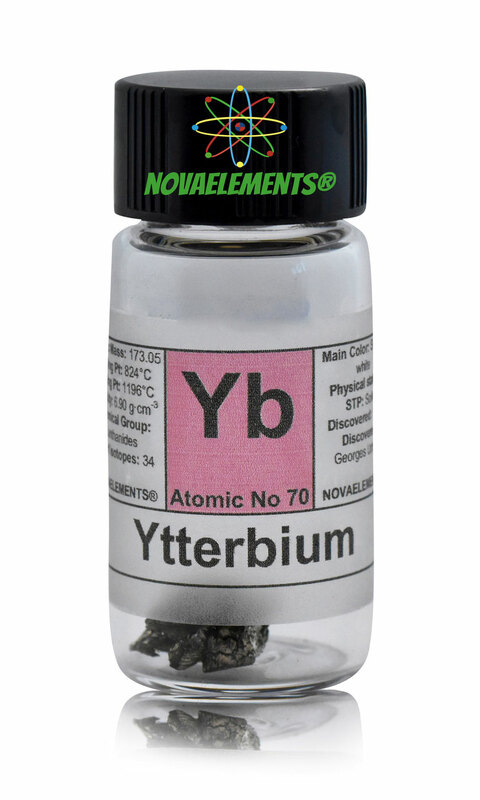 Ytterbium is about 25 - 30 % lighter (less dense) than its neighbors thulium and lutetium. 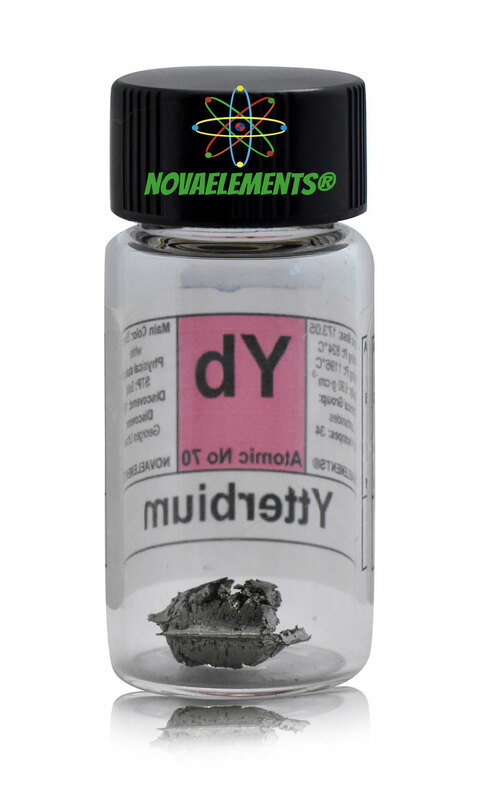 High purity Ytterbium metal element 70 sample of 1 gram in glass vial. Pure Ytterbium metal sample.